A San Jose high school tennis coach is missing and presumed dead after a skydiving accident last week in New Zealand, police and high school officials said. 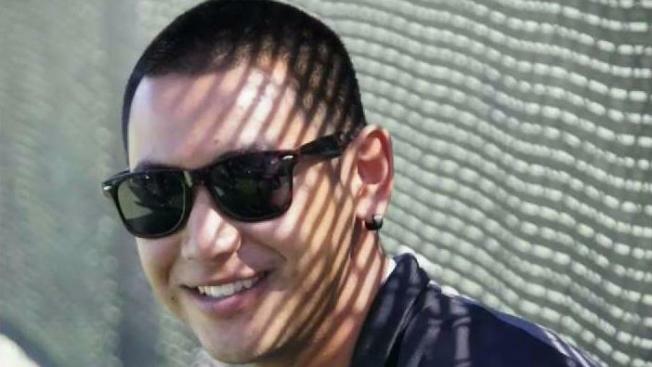 Tyler Nii appears to have died last Wednesday after he plunged into Lake Wakatipu in the South Island of the country. Nii, 27, was a tennis coach at Archbishop Mitty High School, according to a Facebook post Friday by the school's department of athletics. "Tyler Nii, beloved coach of our men's and women's tennis programs passed away this week in a tragic accident," the post said. "All of us: players, coaches, friends and colleagues are saddened by this loss." New Zealand police said they were alerted at 1:42 p.m. local time after two male skydivers landed in the lake near Jack's Point. One skydiver was recovered from the water and was taken to a hospital with minor injuries. On Wednesday afternoon a search was underway for Nii. A water and air search was coordinated by the Coast Guard but was suspended at about 4:40 p.m. Up to 12 vessels had searched for Nii. On Thursday morning, police were deciding whether to use sonar to find Nii's body. The high school will hold a prayer service Wednesday for a coach that really meant so much to the campus and tennis community. Friends say Nii was full of energy with a great attitude, someone you always want to be around ... and adventurous. "His personality is just infectious," Archbishop Mitty Athletic Director Brian Eagleson said. "Right off the bat, he makes kids feel comfortable, makes you want to be part of the tennis program, makes it a great experience." Nii also coached at Player Capital, which runs tennis programs on the Peninsula. Lorenzo Correa was Nii's good friend who coached alongside him for five years. "Oh man, he was just an amazing person, you know," Correa said. Police said Nii was a client taking part in a tandem jump. The other person in the dive was a jumpmaster from NZONE Skydive, a skydiving company. On Monday morning, police said the National Dive Squad had arrived in Queenstown and was setting up sonar equipment to search the lake. Police said the setup was expected to take most of the day and a decision on whether to deploy sonar would be made later in the day. Police Inspector Olaf Jensen, the area commander Otago Lakes-Central Area, said, "The operation is a very complex one given the depth of Lake Wakatipu." But Jensen added, "The search team is committed to finding Tyler and our thoughts are with his family at this time." Friends said Nii's parents were on their way to New Zealand on Monday, hoping to bring their son's body back home.